Discuss Wordpress and Centmin Mod Nginx on the forums here. 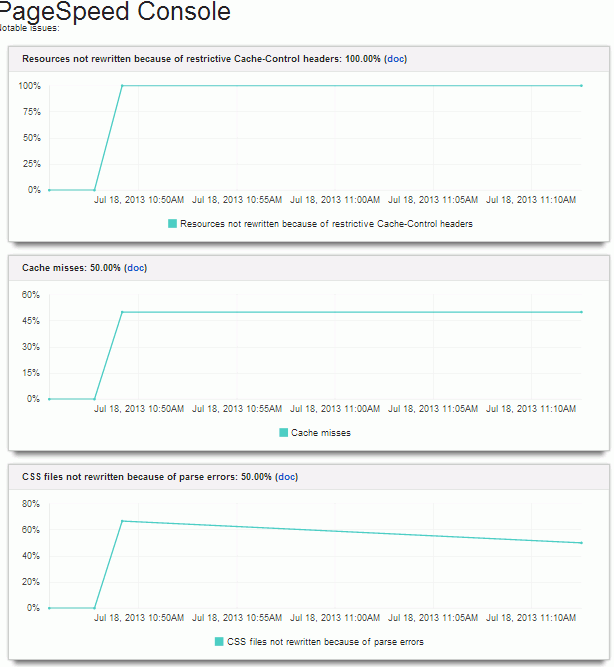 The Centmin Mod outlined WordPress fastcgi caching guide might not be everyone's cup of tea. So I'll out line an alternative WordPress caching method via WordPress plugin called, WP-FFPC (Fast Full Page Cache) which utilises Memcached server (via PHP memcache or PHP memcached) or via APC Cache. All three methods are supported and installed by default on Centmin Mod v1.2.3 based servers (when default unattended method of install is used). I'd like to thank Centmin Mod Google+ Community member, Farzana for giving me the heads up for WP-FFPC plugin. It's my first time using WP-FFPC plugin. Added updated info on version 0.14 changes to WP-CLI tool. Added example WP-CLI plugin install and activation commands. You don't have to worry about the warning, as below instructions to chown the public directory to nginx user/group changes the ownership of such WP-CLI created files. To download, configure and install WordPress, I am going to use Centmin Mod included addon for WP-CLI. With this tool you can quickly install WordPress without leaving your SSH telnet window. First, change to addons directory where you downloaded Centmin Mod zip and extracted it's contents. For this example, it's located at /usr/local/src/centmin-v1.2.3mod/addons/. Then chmod executable permissions on wpcli.sh file. Create MySQL user where mysqlusername = your MySQL username and mysqluserpassword = your MySQL username's password and wordpressdb381 = your MySQL database name. Run wp core install command, changing your url to yourdomain.com/wp, the title to your WordPress blogs name, set the Admin user's email address, password and admin_name = WordPress Admin username. drwxr-xr-x 10 nginx nginx 4.0K Jan  7 15:18 .
drwxr-xr-x  6 nginx nginx 4.0K Jan  7 15:18 .. 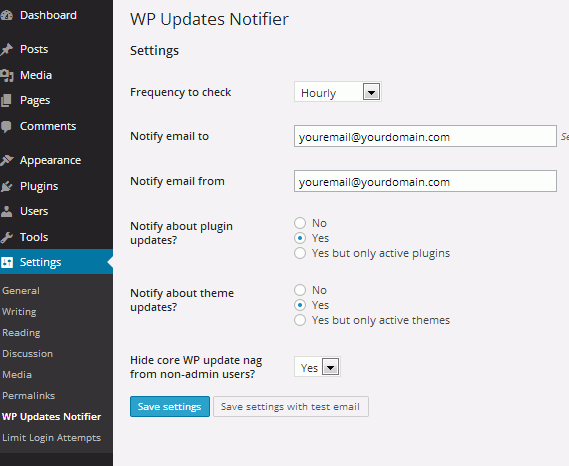 Tips: be sure to look in Wordpress Admin panel to any relevant plugin settings you may need to properly configure. For instance, Acunetix needs all settings checked and hit the update button to the security changes to take effect. Then you still need to configure WP-FFPC as per outlined guide. Enable WordPress cache by adding define('WP_CACHE',true); in wp-config.php. I added line right after DB_COLLATE line. Check the settings in Settings ( site or Network Admin, depending on activation wideness ) -> WP-FFPC menu in WordPress. Save the settings. THIS STEP IS MANDATORY: without saving the settings, there will be no activated caching! Check the settings in Settings ( site or Network Admin, depending on activation wideness ) -> WP-FFPC menu in WordPress. Select PHP Memcached backend. If you have different Memcached server listening address of port from default 127.0.0.1 and 11211, change it here. Sample Nginx VHOST generated by WP-FFPC plugin. Only used as guide as not all settings are correct for Centmin Mod VHOST format. So can ignore this. Create file wpffpc.conf at /usr/local/nginx/conf/wpffpc.conf. For Centmin Mod v1.2.3-eva2000.03 and higher there is already a /usr/local/nginx/conf/wpffpc.conf included. But you may need to revise it slightly for subdirectory Wordpress installs i.e. 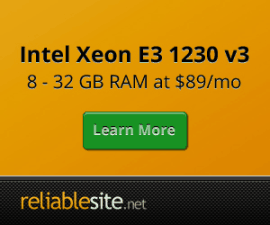 yourdomain.com/wp. Update: A few changes made to rewrites for index.php to below configuration for permalinks compatibility. So the updated /usr/local/nginx/conf/wpffpc.conf file now looks like below example if installed at web root /. # avoid cache serve of wp-admin-like pages, starting with "wp-"
Or the updated /usr/local/nginx/conf/wpffpc.conf file now looks like below example if installed at within a subdirectory i.e. /wp. By default WP-FFPC Plugin only caches for guests, so to check that cache is working, log out of WordPress Admin Dashboard and in SSH telnet run curl command to check page header for the X-Cache-Engine: WP-FFPC with memcached via PHP line. To check Memcached server's cached keys, you can do that via libmemcached and memcat command. Which is automatically installed on Centmin Mod. Second line calls the memcached key data-http://yourdomain.com/wp/ which would output the contents of the cache, which is the full front WordPress index html contents. Means key is not in memcached or key expired. So revisiting page at http://yourdomain.com/wp/ will re-populate cache and try again. For full install guide and info for ngx_pagespeed module read info here. 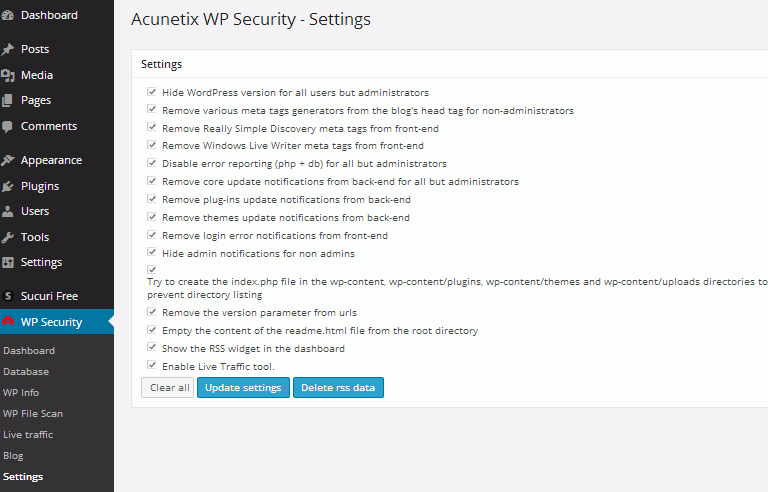 Acunetix Wordpress Security Plugin. Check support forum for any issues. 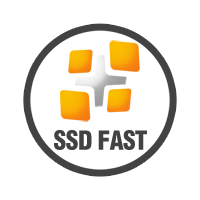 Sucuri Security Malware Scanner. Check support forum for any issues. Akismet. Check support forum for any issues. Crayon Syntax Highlighter. Check support forum for any issues. GTmetrix for WordPress. Check support forum for any issues. Responsive Lightbox. Check support forum for any issues. Rename wp-login.php. Check support forum for any issues. With this enabled, Nginx vhost for wordpress site needs adding an additional rule where renamedloginurl is the name of the renamed wp-login.php page. Remember to restart Nginx server after making Nginx vhost file change. Limit Login Attempts. Check support forums for any issues. No Longer in Directory. Check support forum for any issues. WP Updates Notifier. Check support forum for any issues. Mail On Update. Check support forum for any issues.